As an artist I’m always on the lookout for paradoxes, and was enamored with how the seemingly polar opposite forces of fiery volcanoes and icy glaciers work together to form the Icelandic landscape. As a resident artist I traversed the lava fields, the mountainsides, the rivers, and the hillsides surrounding Fljótstunga travel farm with my medium format film camera in search of various natural aesthetics and textures both large and small. 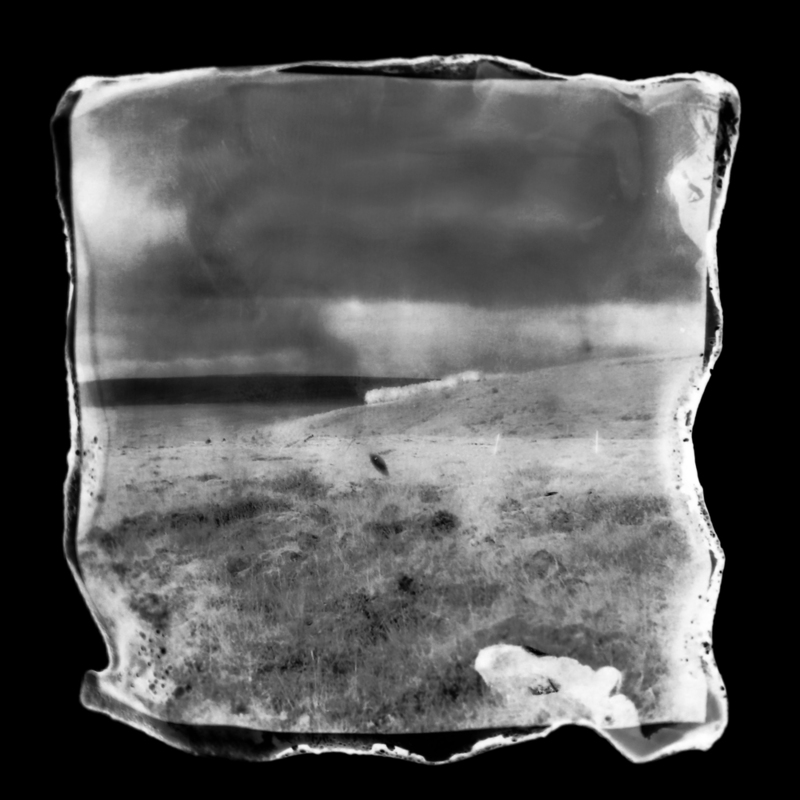 After developing my black-and-white photographs back at home, I applied fire, smoke, and ice to selective portions on the surface of the film as a way of warping the emulsion to physically and metaphorically change the representation of the landscape, and to show the materiality of the photographic medium in tandem with my hand as an artist. Destruction and creation are intrinsically connected in both the rendering of the final photograph and in the physical presence of the environment itself.